beginning with good will for all species & breeds! Two world-renowned giants of veterinary vaccine research -- Dr. W. Jean Dodds of Hemopet and Co-Trustee of The Rabies Challenge Fund and Dr. Ronald Schultz of the University of Wisconsin School of Veterinary Medicine -- have volunteered their time to ensure that critical 5 and 7 year rabies challenge studies are conducted. According to Dr. Dodds, This is one of the most important projects in veterinary medicine. It will benefit all dogs by providing evidence that protection from rabies vaccination lasts at least 5 years, thereby avoiding unnecessary revaccination with its attendant risk of debilitating adverse reactions. " Do you know what these ingredients really are? More importantly are you familiar with the way the body responds when pathogens, cultured in decaying tissue of both animal and human origin, act when coupled with any combination of these ingredients and are injected into the body? John Fudens DVM states: He doesn't have a problem with the concept of vaccination. "The problem I have is with the method, an injection is a totally unnatural and artificial procedure. No disease short of being bitten by a rabid animal is injected by needle. What happens in this case is that the disease totally bypasses the natural mechanism that is set up by the mouth and respiratory system to resist most communicable diseases. Thimerosal Toxicity Rob Robertson, M.D. - "Nearly everything that goes wrong with us and our pets, with the exception of trauma - i.e. broken bones, etc., can be traced directly to an immune system failure". Pollution, drug overload and nutrient-poor diets compromise our immune health. The key to self-healing is a defense system, which protects dogs and cats from everything from the flu germs to cancer cells. More than their mainstream counterparts, holistic veterinarians believe that a weak immune system plays a key role in causing disease. Drugs aren't the answer for immune enhancement. The immune system is not responsive to drugs for healing. Antibiotics fight infection, but they don't affect whatever weakened the immune system in the first place. This is why holistic veterinarians focus less on things that cause diseases and more on those that affect the body's defenses"
Vaccine Recalls Did you know that 300,000 rabies vaccines were recalled in 2006? Not because of the short & long term health consequences, but because a dog accquired rabies AFTER the vaccine. Researchers believe that the rabies vaccine causes the most and worst adverse reactions and concur that it should not be given more than necessary to maintain immunity. Adverse reactions to rabies can include: autoimmune diseases affecting the joints, blood, eyes, skin, kidneys, liver, bowel and CNS, anaphylactic shock, aggression, seizure, epilepsy and thyroid disorders, fibrosarcomas at the injection sites. "I know some vets feel threatened because they think, `People won't come back to my office if I don't have the vaccine as a carrot,' " said Alice Wolf, a professor of small-animal medicine at Texas A&M and an advocate of reduced vaccinations. Martin Goldstein DVM " I think that vaccines are leading killers of dogs and cats in America today." Studies have shown protective immunity as measured by serum antibody titers against rabies virus to persist for seven years post vaccination. Did you know vets can write vaccination exemptions for dogs with potentially compromised immune systems? Even rabies! If you vaccinate, consider using homeopathic remedies to counteract any potential adverse affects from the vaccines. Jeff Levy DVM recommends you use the appropriate nosode (made from the disease you are vaccinating for) be given immediately after the vaccination. The next day give Thuja 30C, followed one week later by Sulphur 6X for one week. Secondly it is VIOLENTLY opposed. In most states the only " required " vaccination is rabies, the appropriate nosode for this would be Lyssin 30C. 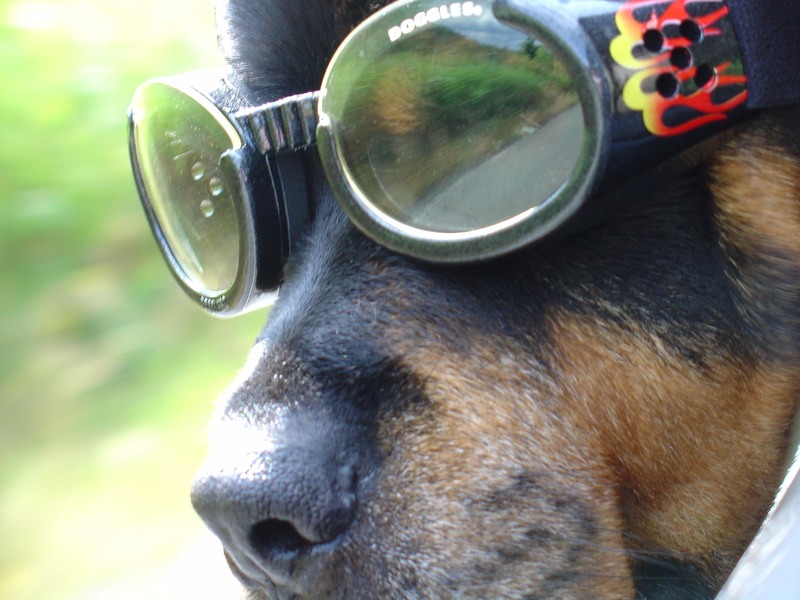 If you decide to use nosodes, contact a veterinarian that uses homeopathy. While most homeopathic remedies are available over the counter. Nosodes are available by prescription. Christina Chambreau DVM " Routine vaccinations are probably the worst thing that we do to our animals. They cause all types of illnesses, but not directly to where we would relate them definitely to be caused by the vaccine." Dr Robert Mendelson often criticized modern medicine for it's santimonious doctrine. He argues that " Doctors are the priests who dispense holy water in the form of innoculations to ritually initiate our loyalty into the larger medical industry." Richard Moskowitz agrees " Vaccines have become sacraments of our faith in biotechnolody. Their efficacy and safety are widely seen as self-evident and needing no further proof." Mike Kohn DMV " In response to this vaccine violation, there have been increased autoimmune diseases, allergies being one component, epilepsy, neoplasia ( tumors), as well as behavior problems in small animals." The other big news is that Dr. Ronald Schultz of the University of Wisconsin School of Veterinary Medicine has volunteered his time to conduct the 5 and 7 year canine rabies challenge studies. If you recall, Dr. Schultz's research forms part of the scientific base for the American Animal Hospital Association's 2003 and 2006 Canine Vaccine Guidelines In responding to the claim that side-effects of vaccinations are a necessary evil for the greater good of society, Dr Levy states "It's not the greater good. You're protecting the individuals artificially, and in doing so degrading the health of the population at large." 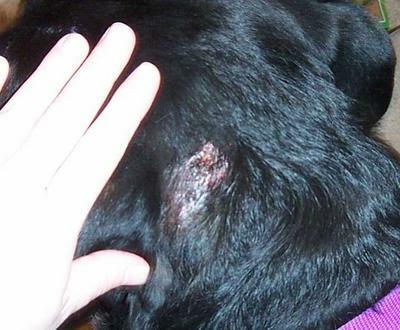 If you do vaccinate and use pharmaceuticals, then no doubt you're familiar with the variety of hot spots, allergies and skin disorders dogs can have. Happy Tails Rescue WildCrafted Farmacy offers 100% natural products that help support our rescue efforts. Collections are formulated for ALL living creatures, so you really CAN share your Orange Mango Body Butter with your pooch! Testimonial: "We just tried " Ugly Salve "... reminds me a lot of my grandmother's salves, except it is in a nice olive oil base instead of a sticky petroleum one like the other brands and the stuff my grandmother used!....it smells good, and apparently to Big Bertha, it TASTES good! She has this weird patch on her- we're not sure what it is and so far the medicine the vet told us to try not only didn't work, but it stung her skin so badly she rolled on the carpet and WHINED whenever I put it on her!! (and I know how it feels, it was the same medicine I used for one of my skin-infections once) ow ow ow ow!! 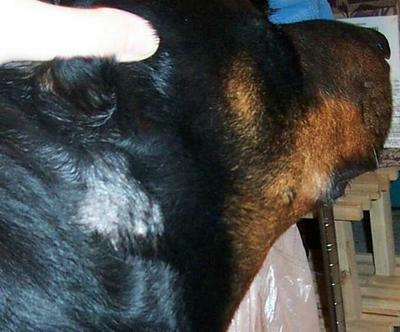 Below are two untouched photos, one with the vet pharmaceutical product that didn't work and the other with Ugly Salve, both applied at the same time but on different hot spots, with the same Rotti Girl! Vet product after 3 days is still icky & oozing. Ugly Salve after 3 days is clean, uninfected and ready to grow hair. When you need serious skin care for dry, itchy or chapped hands, feet, elbows or to help with minor scratches, small cuts, to help softens hands and skin. We've used this on huge puncture wounds and it's amazing!... This rich blend of Calendula, Comfrey and Goldenseal will promote healing, fortified with Vitamin E and Rosehips in an Extra Virgin Olive Oil & Grape seed oil and Beeswax base. It will feel a little gritty at first, but after a few minutes will blend into the skin and leave it feeling soothed and soft. Beneficial for hot spots, symptoms associated with allergic skin conditions, may help with scars. Oh, and you don't have to worry if your pooch licks our products, animals self medicate when able, everything is made from superior, food grade ingredients. Profits help save animals lives! Human tested, animal friendly, a choice you can live with! Boulders Natural Animal Vaccination Info "Veterinarians are charging customers $36 million a year for vaccinations that are not necessary," said Bob Rogers, a vet " Not only are these vaccines unnecessary, they're causing harm to pets. " " In veterinary medicine, evidence implicating vaccines in triggering immune-mediated and other chronic disorders vaccinosis is compelling." The only true immunity occurs when an animal gets a disease and survives. It is then immune to that particular disease for life. Dr Richard Moskowitz, "" At the bottom, I have always felt that the attempt to eradicate entire microbial species from the biosphere must inevitably upset the balance of nature in fundamental ways we can as yet scarcely imagine . Dr Fudens points out that "" with the natural disease process, the virus or bacteria doesn't include the antibiotics or the fungicides that are used to protect the vaccine against bacterial contamination. And it doesn't include aluminum sulfate, mercuric oxide, or any of the chemical substrates that are used to carry the virus particles into the body in the injection procedure"
"Vaccine-Associated Immune-Mediated Hemolytic Anemia in the Dog." (Duval and Giger, J Vet Intern Med 1996;10:290-295) Known as immune-mediated hemolytic anemia (IMHA), it means the dogs' immune systems attacked their own red blood cells as if they were foreign. Needless to say, this is life-challenging and the death rate is high within a couple of weeks. Richard Moskowitz, MD " if we vaccinate, we have short circuited very important primary responses to disease and have accomplished what the entire immune system seems to have evolved in order to prevent: we have placed the virus directly into the blood, and given it free and immediate access to the major immune organs and tissues, without any obvious way of getting rid of it." "I know some vets feel threatened because they think, `People won't come back to my office if I don't have the vaccine as a carrot,' " said Alice Wolf, a professor of small-animal medicine at Texas A&M and an advocate of reduced vaccinations. In 2002 all 27 veterinary schools in North America changed their protocols for vaccinating dogs and cats. Some of this information will present an ethical & economic challenge to vets, and there will be skeptics. Some organizations have come up with a " political compromise" suggesting vaccinations every 3 years to APPEASE those who fear loss of income vs those concerned about potential side effects. (PLEASE READ THAT SENTENCE AGAIN). Do you think that politics, traditions, or the doctor's economic well-being should be more important than the long term health of your animals and a factor in your medical decision? Is your vet aware of these changes and has he discussed your options with you? Has he shown you the literature regarding the full range of potential side effects associated with vaccines? Vaccine production is a disgusting procedure. To begin, one must first acquire the disease germ -- a toxic bacterium or a live virus. To make a "live" vaccine, the live virus must be attenuated, or weakened for use. This is accomplished by serial passage -- passing the virus through animal tissue several times to reduce its potency. For example, measles virus is passed through chick embryos, polio virus through monkey kidneys, and the rubella virus through human diploid cells --�the dissected organs of an aborted fetus!
" Killed " vaccines are " inactivated " through heat, radiation, or chemicals. The weakened germ must then be strengthened with adjuvants (antibody boosters) and stabilizers. This is done by adding drugs, antibiotics, and toxic disinfectants to the concoction: neomycin, streptomycin, sodium chloride, sodium hydroxide, aluminum hydroxide, aluminum hydrochloride, sorbitol, hydrolized gelatin, formaldehyde, and thimerosal (a mercury derivative). Aluminum, formaldehyde, and mercury are extremely toxic substances with a long history of documented hazardous effects. Studies confirm again and again that microscopic doses of these substances can lead to cancer, neurological damage, and death. Yet, each of them may be found in childhood and pet vaccines. In addition to the deliberately planned additives, unanticipated matter may contaminate the shots. For example, during serial passage of the virus through animal cells, animal RNA and DNA -- foreign genetic material -- is transferred from one host to another. Because this biological matter is injected directly into the body, researchers say it can change our genetic makeup. Undetected animal viruses may jump the species barrier as well. This is exactly what happened during the 1950s and 1960s when millions of people were infected with polio vaccines that were contaminated with the SV-40 virus undetected in the monkey organs used to prepare the vaccines. SV-40 (Simian Virus #40 -- the 40th such virus detected since researchers began looking), is considered a powerful immunosuppressor and trigger for HIV, the name given to the AIDS virus. It is said to cause a clinical condition similar to AIDS, and has been found in brain tumors, leukemia, and other human cancers as well. Researchers consider it to be a cancer-causing virus. What happens next, once this foul concoction -- live viruses, bacteria, toxic substances, and diseased animal matter -- is created? This witch's brew is forced into the healthy child or animal. Others see a link between vaccinations and satanic rituals or witchcraft, where animals are sacrificed and their organs brewed in a hellish concoction of horrid substances: voodoo medicine by 21st century mad scientists. Sadly, our children and animals are their unwilling subjects as society is slowly devoured by their insatiable appetite for human experimentation. Homeopathy tries to strengthen the vital force and the body. It is also very important to eliminate as many obstacles to this cure as we can. We do this by stopping medications and therapies that may interfere with the healing, by feeding wholesome diets and by using other supplements to enhance the effect of the homeopathic remedy. By: Dr. John Fudens, D.V.M. " Current Veterinary Therapy by Kirk, the textbook bible for veterinarians in general, has an article on canine and feline vaccines by two researchers. Near the end of the article is a paragraph called Annual Vaccinations. It states " The practice of annual vaccinations lacks scientific validity or verification. There is no immunological requirement for annual vaccinations. The practice of annual vaccinations should be considered of questionable efficacy unless it is used as a mechanism to provide an annual physical examination or is required by law." Sure, if we can't manipulate you with annual vaccinations let's pass a law to get you into the office. Nice trick! Below are but a few of the hundreds of sites dedicated to exposing the bitter truth about vaccinations. If some links don't open, do a GOOGLE search. 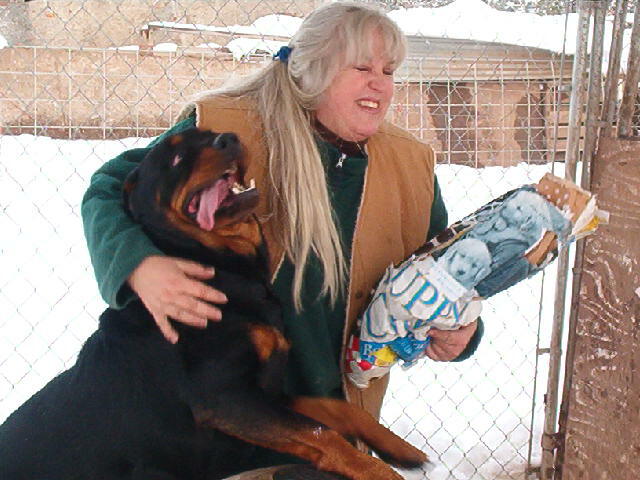 Toni shown with one of our potential " killer " Rottweilers..or so labeled by Multnomah County Animal Shelter in Portland, Or. Now he thrives with his new family, and was recently nominated for a bravery award. 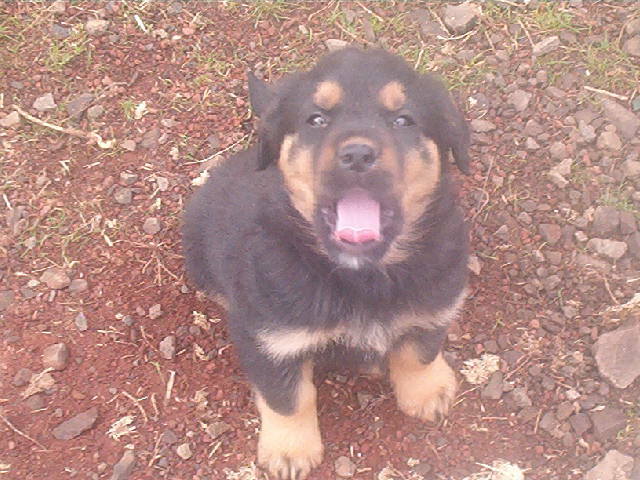 Hearing the cries of his sister Rotti being attacked by a bear, Dante launched himself into the middle of the scuffle and distracted the bear long enough for the female Rott to escape. Both dogs sustained serious injuries, did not attempt to harm the bear and fully recovered. WHEW, lucky I lived through this, isn't it? We welcome suggestions, questions, topics, photos, stories for future Newsletters! Please Email us suggestions or constructive critiques! Happy Tails Rescue's free & educational website and Newsletter are dedicated to the Holistic, balanced-health-care-approach for all animals, including people. If you're new to the dangers and negative health consequences associated with vaccines, we may appear a bit radical or unconventional. We know the "benefits" of vaccines do not outweigh the risk and potential long term harmful consequences associated with their use. The continued best possible health of our beloved four legged friends is important to us and the compelling facts against vaccination are overwhelming and indisputable. We hope our experienced based opinions and compilation of data will help you to make meaningful and informed choices. Please feel free to share our newsletter, it is sent on a permission based concept offering information, data, research of natural health information that is proven to be gentle, highly effective & without harsh toxins or harmful side effects ~ first do no harm.